For world class Contemporary style and uber comfort for your dog the Letto dayBed designed exclusively by Gerd Couckhuyt for MiaCara has to be for those serious about design and choice within their homes. The Letto dayBed©️was awarded RedDot Design Awards 2015 Product Design and truly represents design for dogs at a higher level than no other company has achieved. The Letto dayBed has recently had slight improvements to the design with a new powder coated surface to the frame in a muted Grey tone and offering a new selection of Italian fabrics. The design brief was to combine simple lines inspired by the Bauhaus style a colour palette of pared-back muted tones combined with exceptional materials and manufacture. The sturdy body is made from Grey powder coated aluminium with raised side panels to give your dog a sense of safety. The feet are hand turned in natural ash wood and inspiration taken from the 1960's. The handmade mattress is filled with high intensity latex foam offering exceptional orthopaedic support for your dog's spine the bowsers flash of colour inspiration with the Ginger coloured fabric makes a true design statement. The mattress is reversible and both the mattress and cover are fully washable please note the manufacturers recommendation. Air dry the mattress do not place with in the dryer and wipe clean the Letto dogBed frame with a damp soft cloth. If you would like to order spare covers they can also be purchased separately and available in a choice of 2 alternative beautiful colours. Gerd Couckhuyt was commissioned to produce one of a kind products for MiaCara and you may find that the dogBar raised feeder and Assetto dog lead hooks are a very stylish combination. MiaCara and Gerd were nominated to the prestigious and historic RedDot Design Awards in 2015. Competition is fierce with the world's best companies showcasing their very best products including Ferrari, Dyson, Apple to name a few. MiaCara and Gerd Couckhyt were awarded Best Product Design 2015 for their Letto dayBed©️which for an industry that is flooded with cheap Asian imports made from plastic and highly toxic infills we finally have a company producing the very best for our industry. 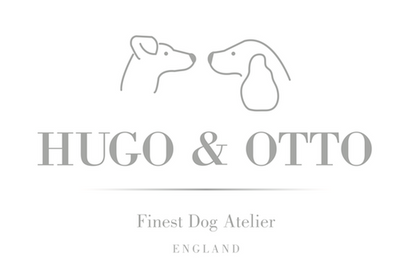 We, at Hugo & Otto are extremely proud to partner MiaCara and fully support them in the United Kingdom.